Scott Kranz (@scott_kranz) is a full-time photographer based in Seattle, Washington, specializing in outdoor sports, lifestyle, landscapes, and travel. This is his story. Dust fills the narrow forest road as our SUV dodges potholes down the 23-mile stretch from the little mountain town of Marblemount, Washington, to the Cascade Pass trailhead. 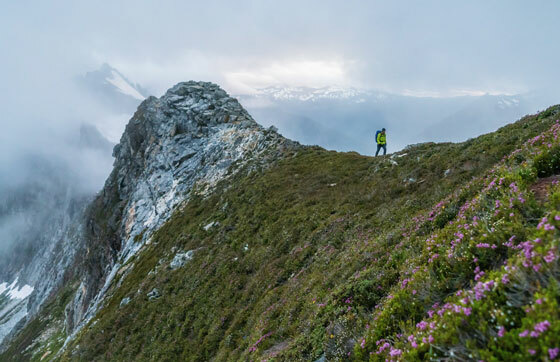 From there, our group of five will begin the Ptarmigan Traverse, a classic high-alpine mountaineering journey from Cascade Pass to the Suiattle River, through the heart of the 566-thousand-acre Glacier Peak Wilderness. Barring any roadblocks, the Traverse will take us almost a week—six days and five nights. We’ll hike through the forest and up into the alpine where there are no trails, navigating over snowfields, talus, and glaciers. Near the end, we’ll climb 8900-foot Dome Peak, a magnificent fortress of rock and glacier. Because the Traverse is a committing point-to-point trip, we’ve already dropped off a shuttle car at the route’s end. 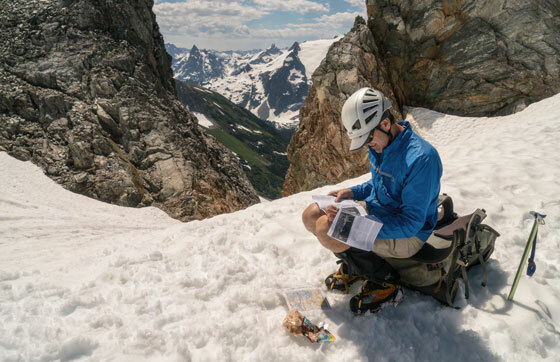 Nearly 80 years ago, the Ptarmigan Climbing Club were the first to navigate this route—a feat that many recognize as one of the greatest mountaineering accomplishments in the North Cascades. It wasn’t until 2013, shortly after my wife and I moved from the Midwest to Seattle, that I discovered the Cascades for myself and learned of the Ptarmigan Traverse. Since the moment I first heard of it, I made it a goal to do the Traverse one day. After learning essential mountaineering skills in 2014, a friend and I tried the Traverse in 2015. But the 2015 climbing season followed one of the least snowy winters in over a decade, and our attempt was thwarted by horribly fractured glaciers, which created a virtually impassable route. Undeterred, in 2016 I again planned to attempt the Traverse with three other friends. As if fate was telling me not to try it, a massive storm swung through the region at the time of our trip. We were forced to cancel our plans and go elsewhere. When 2017 rolled around, I just knew—this will be the year I finally pull it off. I mean, third time’s a charm, right? I am joined on this trip by fellow photographer Steve Matera, along with Sandy Weil and writers Chris Solomon and Warren Cornwall. After rolling into Cascade Pass trailhead, we all jump out and stretch our legs after nearly four hours of driving from Seattle. We make final trip preparations, passing glacier ropes and pickets and splitting up group gear—tents and stoves and the like. The forecast calls for bluebird skies for the next several days, so we lather up with 50 SPF sunblock. Cinching down the straps of my 70-liter pack, which holds all the food and gear I’ll need over the next week, I lift it briefly and am shocked by its weight. I’ve done many trips into the mountains, but I suspect that this pack is the heaviest I’ve had…ever. Sure enough, I lift my pack from the hook of my friend’s hanging spring scale and bend over to read the display. It reads a whopping 63 pounds! The others laugh and agree: I win the “award” for the heaviest pack in our group. This heavy load will make for an extra-long first few days for me, at least until I can eat my way to a lighter pack. We begin hiking just before noon, starting on a maintained trail used by day-hikers and backpackers alike. Tromping up thirty-plus switchbacks, I feel the crushing weight of my pack with each step. The trail eventually leads us to Cascade Pass proper. We drop packs, eager for our first break. We eat a late lunch and dry out our boots before pressing on. From Cascade Pass, we break off the maintained trail and navigate along sloped talus and snowfields to the base of the Cache Glacier. From what we understand and observe firsthand, the Cache Glacier is bulletproof, with few—if any—open crevasses. So we decide not to rope up, and we ascend, arriving at the top, Cache Col, at about 5 p.m. Gazing to the south, we take in the grandeur of the Glacier Peak Wilderness. After descending several hundred feet, we arrive at Kool-Aid Lake, our camp for the first night. Reaching the small tarn, we all drop our packs for the day. We feel like we’re floating without the heavy weight of those packs on our shoulders. We quickly set up camp, filtering and boiling water for freeze-dried meals and tea. A small flask of whiskey gets passed around, and smiles and laughs fill the backcountry air. After a golden sunset, we all prepare to crash for the night. I brush my teeth and crawl into my tent. I am out before my head even dents my climbing pillow. Morning breaks, and we slowly rise to eat breakfast. Our plan for the second day is to travel across the Middle Cascade Glacier, up and over Spider-Formidable Col, and down to Yang Yang Lakes, where we’ll make our next camp. By 7:30 a.m., we leave Kool-Aid Lake with loaded packs. We cross a field of mixed talus and snow and eventually reach the infamous Red Ledge, an exposed path across a cliff band providing access to the Middle Cascade Glacier. To our delight, the early season snow level makes it easier than expected to gain and cross the ledge. Before we know it, all five of us are past the Red Ledge and on our way to the glacier. Crossing over several more snowfields, we gaze over to the serac-filled toe of the Middle Cascade Glacier, a reminder of the seriousness of the terrain that lies ahead. We reach the glacier and rope up in two teams. The first team includes Sandy, Warren, and myself, and the second is Steve and Chris. We slowly boot up the glacier, kicking our crampons’ toe spikes into the ice and widely navigating around the several obvious crevasses. By late morning, we arrive at the top, Spider-Formidable Col.
We decide to eat an early lunch while reviewing our maps and route beta. The group starts to descend the steep, south-facing slope from the Col—the crux of Day 2. The slope steepens greatly, so I turn around to face the mountain and “front point” down, kicking steps into the ice until the slope levels out. From the bottom, we cut right and traverse around the snow-filled cirque, eventually reaching Yang Yang Lakes at 1:30 p.m., with plenty of day left. Given our early arrival at our Day 2 camp, the idea of skipping over Yang Yang Lakes and moving on to White Rock Lakes (our planned Day 3 camp) is raised. Doing so would be aggressive, but if successful, we would reach our Day 3 camp one day early. After about 30 minutes of discussion and weighing pros and cons, we all agree that we’ll “give it a go” and move on. We would double our distance for Day 2 and reach White Rock Lakes by nightfall. From Yang Yang Lakes, we immediately approach a steep, snow-filled gully that we need to climb up. I lead the group up the top two-thirds of the gully, kicking steps and steering left to minimize the amount of time under a massive cornice looming overhead. Unwilling to take a break under the hanging cornice, I steadily climb up and reach the top. My energy is now zapped. I take several minutes to rest on a rock before pushing on. I slug a half liter of water and inhale a Nut Butter Filled bar. Determined to knock out this extended Day 2, I stand up and march forward with the group. We reach the La Conte Glacier less than an hour later and rope up, as we did before. Ascending, we observe several gaping crevasses along the glacier’s steep slopes. We move quickly but cautiously, prepared to arrest on a moment’s notice if any of us happen to break through a hidden snow bridge. After safely reaching the top of the La Conte Glacier, we relish the impressive views of the countless mountain layers to the west and north. Minutes later, we drop down onto the remote South Cascade Glacier and travel over to Lizard Pass. The spectacular view of Dome Peak’s north face greets us from across the valley, along with the view of White Rock Lakes below us. Jubilant at the thought of Day 2 ending, we plunge step and glissade down the steep slopes to the trio of lakes. I look down at my watch, which reads 8:30 p.m. We have been moving for over 13 hours! 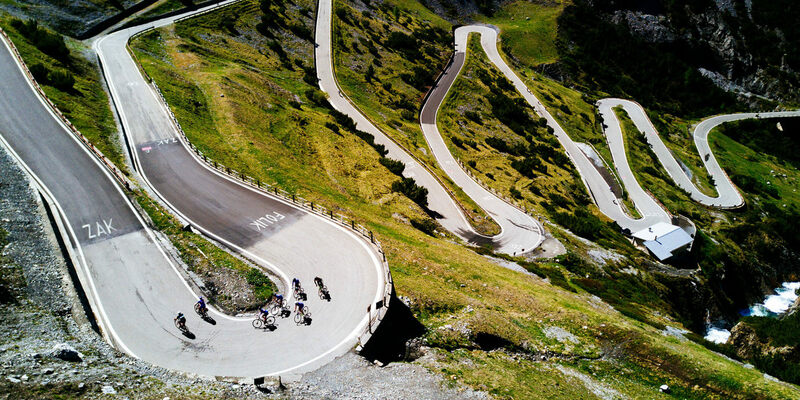 That’s a long day in the mountains by any standards. We use the remaining daylight to quickly set up camp, eat dinner, and crawl in our tents for the night. We wake to a beautiful sunrise with golden light painted on Dome Peak across the valley. 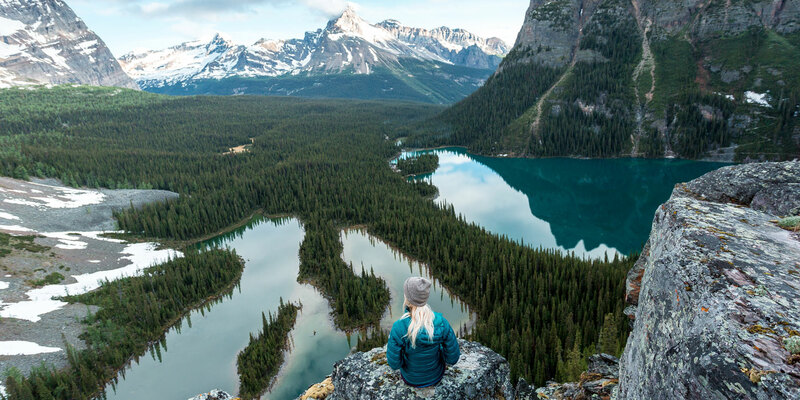 As was planned all along, we decide to take a full rest day at White Rock Lakes, and fully soak up one of the most remote alpine settings in the entire range. After our full rest day, I wake in the five o’clock hour on Day 4 to another beautiful sunrise. After a quick breakfast, we pack up camp and head out to continue the Traverse. We travel across firm, icy snowfields and around the valley to the foot of the Dana Glacier. There, we rope up and ascend to Spire Point, a task that takes over an hour. From Spire Point, we descend to Itswoot Ridge, where we’ll camp and prepare for our climb of Dome Peak. On Itswoot Ridge, we feast on the stunning view of 10,500-foot Glacier Peak prominently situated to the southeast, as well as Dome Peak directly to our east. For the first time on our trip, we notice thick clouds sweeping into the area. The clouds eventually shroud most of the surrounding peaks, including Glacier Peak. We wonder how this weather will evolve over the course of the day and into tomorrow. Despite the incoming weather, we remain hopeful that we’ll be able to tackle Dome Peak the next day. I wake in the five o’clock hour and poke my head out of the tent, hoping to see better weather than the day before. The sky is still covered in thick clouds, but luckily Dome Peak to the east is partially clear. The group decides to move forward with the summit bid. Given how we’ll return to Itswoot Ridge after attempting Dome Peak, we leave our camp as is and depart for Dome with light day packs. Within an hour, we regroup at the base of Dome Glacier. Roping up in our two teams, we slowly march up a long snow ramp. I again lead the first team, kicking steps for the entire group. After twenty minutes of steady climbing, the terrain flattens out for a bit, a much-needed break for our calves. Clouds are moving quickly overhead, but we catch a brief glimpse of the summit ridge in the distance. We reach the end of the flats and begin to climb once more. We gain the upper glacier, which reveals many open crevasses. 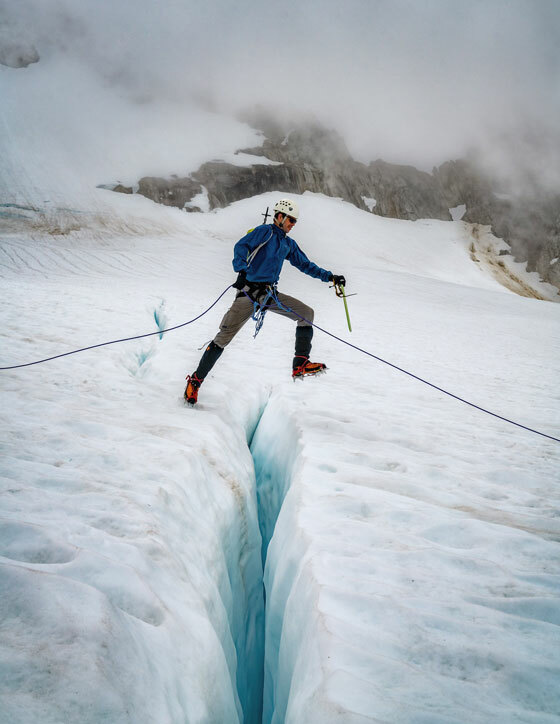 With great care, we navigate around and over each crevasse, one at a time. After passing by over a dozen cracks of varying widths and lengths, we continue up to the rocky col, where we’ll make our final push to the summit. From the col, we each wolf down a snack and then press on, tackling the last several hundred feet to Dome Peak’s summit block. Upon reaching the 8900-foot summit, we are immediately enveloped in clouds, preventing any views. Despite the lack of visibility, we are all ecstatic having reached our objective. We slap celebratory high fives, and snap a summit selfie or two. Minutes later, we turn around and climb down the way we came, smiling from ear to ear. Plunge stepping down the Dome Glacier and trekking around the valley back to Itswoot Ridge, we quickly tear down our camp and reload our packs with all our gear. With the bulk of the Traverse behind us, we look ahead at what remains: 16 miles of mostly forested terrain to the Suiattle River where our shuttle car is parked and waiting. It’s the classic Traverse exit via the Bachelor Creek drainage and the Downey Creek trail. The crux of the remaining 16 miles is undoubtedly Bachelor Creek—to describe it as a “trail” would be misleading. 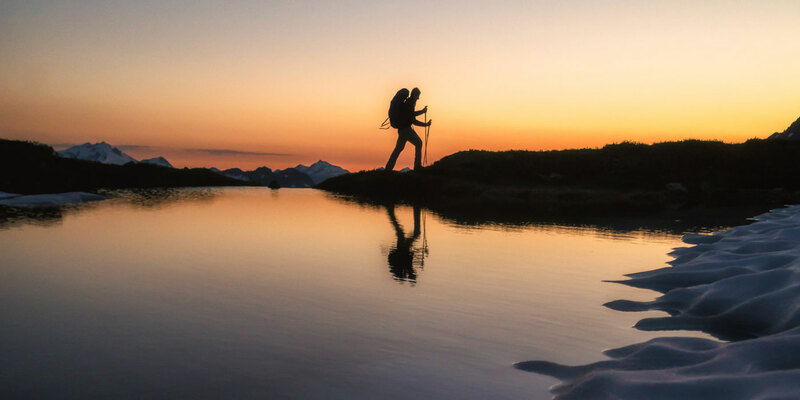 Rather, the drainage dishes out jungle-like conditions that require bushwhacking through alder, vine maple, and devil’s club, as well as navigation through piles of fallen trees—wreckage from past avalanches. Six hours into the drainage, the daylight starts to fade. We make it to Bachelor Creek’s terminus, where it drains into Downey Creek, before it gets too dark. We’re relieved that the bushwhacking is behind us. Content to hike out the very last six miles of trail the next day, we set up our last camp of the trip amid the beautiful forest, beside the rushing river. Despite the cool temperature of the evening, I strip down to my skivvies and plunge into the 50-degree waters of the Bachelor Creek outlet, hooting and hollering as I feel the shock from the freezing water. We all gather around the stoves and eat one last meal on the trail, exchanging laughs and recounting highlights from the previous five days. I decide to call it a night early. I walk back to our tent, brush my teeth, and crawl into my warm bag. After seven hours of solid sleep, I wake to the sounds of the river. Moments later, our entire group is awake, and we slowly pack up one last time. We head out, crossing a primitive log bridge and stepping onto the manicured Downey Creek trail. Over six miles and two hours later, we all rejoice at the sight of our shuttle car, Chris’ two-door Honda coupe. Despite its small size, we all squeeze inside with our backpacks, and get out of the Suiattle River area together in one trip. We drive the dusty forest road out to the state highway and back up to Marblemount, where we’ll retrieve Steve’s SUV. As soon as we pull into Marblemount, we tackle our first order of business: food. We step into one of the few restaurants in town, crossing fingers that they won’t refuse to serve us due to our collective odor. I order and gobble up a garden salad, burger, and fries. After the celebratory sit-down-restaurant meal, Chris and Steve decide to drive the shuttle car back to Cascade Pass to get Steve’s SUV, a 1.5-hour round-trip drive. The others, myself included, wait in Marblemount for their return. I find a small park next to the restaurant, and lie down underneath a large tree, too tired to do anything else. Resting on my back in the grass, I gaze straight up at the web of branches against the blue sky and reflect on the last six days and five nights spent on the Traverse. Despite the two previous years of unsuccessful attempts, I finally did it—I tackled the Ptarmigan Traverse! It’s hard to believe we crossed over the Cascade crest (and back) more than 10 times. We traveled over countless snowfields, talus slopes, and massive glaciers. The unexpected extension of Day 2 feels like ages ago, but it was well worth the longer stay at White Rock Lakes. The Dome Peak climb, despite the clouded summit, lingers in my mind. Although the trip involved a lot of pain and fatigue, it has been rewarding beyond words, and a big part of me wants to be back up there, surrounded by the Cascade peaks. With my head resting on the roots of the tree, the swell of accomplishment fades into sleepiness. My heavy eyes drift shut, and sleep comes easy—a well-deserved nap after an extraordinary journey through Washington’s high alpine.